Gointa Gooli is a simple coconut based dry curry. In konkani, Gointa means Pointed Gourd. I got this recipe from my mother's sister. Gointa (also popular as parval or potol or pointed gourd) looks like Ivy gourd but it is bigger in size. It imparts a very unique flavor to the dish. I grew up eating this only in the form of fritters and they used to taste great. This used to be a seasonal veggie for us and hence would be available only for 3-4 months. I tried making it for the first time and enjoyed with dal. Take the washed pointed gourd and chop off small pieces on either end. Now start chopping it into small pieces. Then heat oil in a pan and then add the chopped pointed gourd. Toss it well. Fry it on a medium flame until it becomes brown and crispy, with constant mixing (this might take between 20- 30 minutes). Also sprinkle little salt when half done. For masala- Grind grated coconut along with red chillies, tamarind and salt to get a coarse mixture (add little water so as to bring everything together). Don't grind the masala too fine. Masala is ready. Now transfer the masala to a bowl and mix it with the fried pointed gourd pieces and then season it. Mix it well. Serve it as a side dish to rice, dalitoy. Above measurement serves 2-3 people. Mixed Rice- Lentil Dosa -Version 2 is a newly learnt recipe. I got this recipe from a FB friend. I tried it for the first time and it tasted very good. The red rice gives a wonderful flavor to the dosa. This dosa has a mixed texture- it is soft and at the same time it is crispy. You can spread it thick to make spongy dosas. Overall, I loved its texture. Give this a try and enjoy. You can as well try the first version of this dosa which I had posted few months back. I also added a fistful of leftover cooked rice while grinding and its purely optional. Wash and soak the two types of rice and urad dal, together for 6-7 hours. Then grind it to a smooth paste. Add water as required, while grinding. 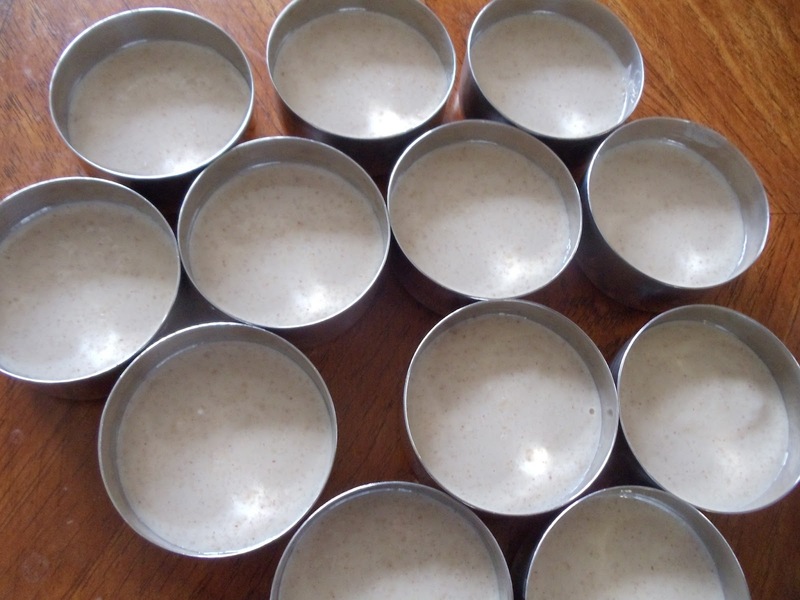 Keep the batter to ferment for 8-9 hours. Once done, add salt and adjust the consistency of the batter by adding water. It should not be too thick or thin. Now the batter is ready. Pour a ladel full of batter on the hot tawa and spread it. Sprinkle little oil/ghee over it. Close it with a lid. After a minute, it starts to turn golden brown. Then transfer it on a plate. Mixed Rice- Lentil Dosa is ready!! Serve it hot with coconut chutney or any spicy curry of your choice. Above measurement serves 2-3 people. Nevri or Karjikayi is a very popular sweet. This sweet is commonly made on Ganesh Chaturthi. Nevri is semi- circle shaped. It has a crispy outer cover with a sweet filling inside. I had very little idea about this sweet as my mother never made it. I heard from my MIL about this , as she used to make this as naivedya for the god. Hence I decided to try it on my own. I went through several recipes and finally came up with my own filling. This time I tried the dry coconut- sugar filling. Next time I am thinking of the coconut- jaggery filling (the shelf life of the sweet mainly depends on the filling but I don't think about that, as I know it will not remain for more than three days when I am around:-)). For the outer covering, I used the recipe of the Biscuit Rotti. This sweet demands more energy and time but trust me its worth all the effort. 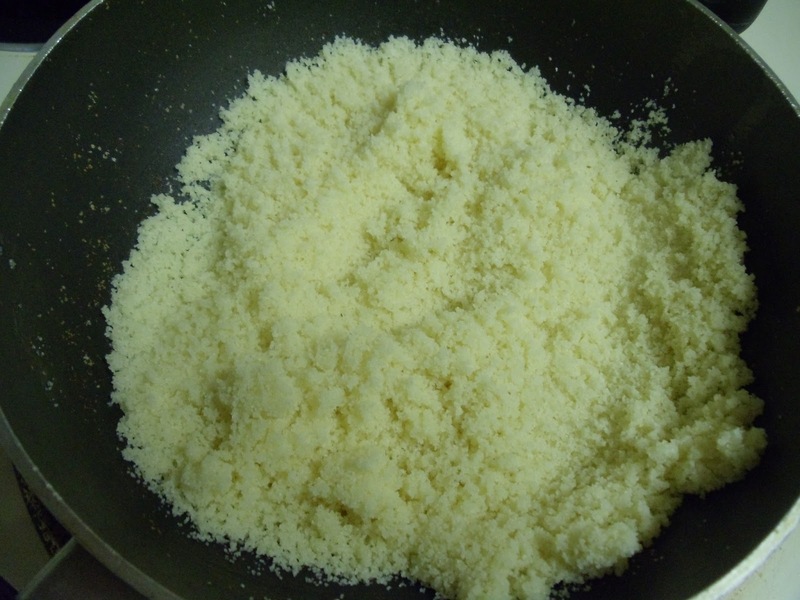 Take a mixing bowl and add all purpose flour, sooji, salt and hot oil. Mix it with the help of a spoon. Now add water in small quantities and make a dough which is not too hard or not too soft. Keep the dough covered for half an hour. *I used the coconut powder. It works well but the grated dry coconut gives a nice texture to the filling. **I had home made badam milk powder. Hence added it to the filling. This is totally optional. The chopped dry fruits works well too. Before mixing all the ingredients mentioned for filling, just dry roast the shredded dry coconut for couple of minutes, until you get a nice aroma (no need to fry it until it changes color). I just did it in a microwave for one and half minutes ( giving a stir in between for every 20- 25 seconds). Allow it to cool. Once the dry coconut is nice and cold, then add in the rest of the ingredients mentioned under the filling and mix well. Filling is ready. Keep a small bowl of water or milk to seal the nevris. First divide the dough into 21 equal parts (or you can reduce the number and make big sized nevris). Keep the dough closed with a paper towel or a cloth. Now start rolling one of the dough ball and make a circle of diameter 5-6 inches ( use all purpose flour for dusting, if required). Now place the filling (2 tsp or little more) at the center. Them smear little water or milk along the border. Then slowly lift one end of the rolled dough on the opposite side, to get a semi circle, as shown below. Now slowly press the border of the semi circle so that it is well sealed. Then take a fork and make pattern by pressing it along the border of the semi circle. Repeat the same procedure with the rest of the dough. Then deep fry them in a pre heated oil until it turns crispy and a light brown color is got on both sides (the heat should be medium while frying). Once done transfer it on a paper towel, to drain excess oil. Nevri is ready!! Offer the Nevri to Lord Ganesha or you can as well enjoy it as a snack. Store it in an air tight container. This sweet remains good for 2-3 weeks. Above measurement makes 21 small sized Nevris. Losne Chutney Pitti is a very popular dry chutney powder. In Konkani, losunu means garlic and pitti means powder. I got this recipe from my mother. Garlic chutney powder is my favorite. My mother makes this regularly. I love this so much that I can eat it just with plain rice. This chutney powder is very simple and can be made within half an hour. Since dry coconut is used, this chutney powder lasts at least for a month. If you are using a whole dry coconut, then grate it. You can as well cut it down into thin slices (I bought the store bought sliced dry coconut). 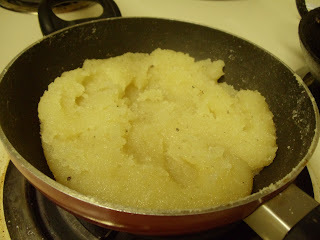 Now dry roast the grated/ sliced dry coconut, until it turns slight brown and a nice aroma is got (fry it on a medium flame, if using sliced dry coconut and a low flame, if using grated dry coconut). Once done, transfer it to a plate for cooling. In the same pan, add few drops of oil and fry the dry red chilli for couple of minutes and then transfer it to a plate for cooling. Again in the same pan, add oil and fry the garlic pods, until they turn golden brown and then transfer it to a plate for cooling. Now grind together the roasted dry coconut, red chilli, garlic pods, tamarind and salt until you get a coarse powder. Transfer it into a air tight container. Losne Chutney Pitti is ready!! Serve it with rice, idli, dosa or chapathi. This chutney powder stays good up to a month. Note: See that all the utensils you use while making this chutney powder, should be absolutely dry. Little moisture will surely decrease the shelf life of the chutney powder. Sagle Udida Idli is a healthy and filling South Indian breakfast. In Konkani, sagle udidu means whole black lentil. This time I thought of using the whole urad dal (with skin), to increase the nutritional value of the idlis. Look wise they might not look appealing but taste wise it is not that different. *You can also use the whole urad dal or split urad dal (without skin). Wash and soak the black lentil (whole urad) for 6-7 hours. I soaked it overnight. Wash and soak rice for 2-3 hours. Now grind the strained whole black lentil along with cooked rice to a smooth paste. Add water while grinding, just enough to aid the grinding process. Once finely ground, transfer it to a bowl. Now transfer the strained rice and grind it to get medium coarse consistency (don't make a paste. This will bring a change in the texture of the idli). Transfer this to the same bowl containing urad dal paste. Give a good mix using hand. If the batter is too thick, add little amount of water. 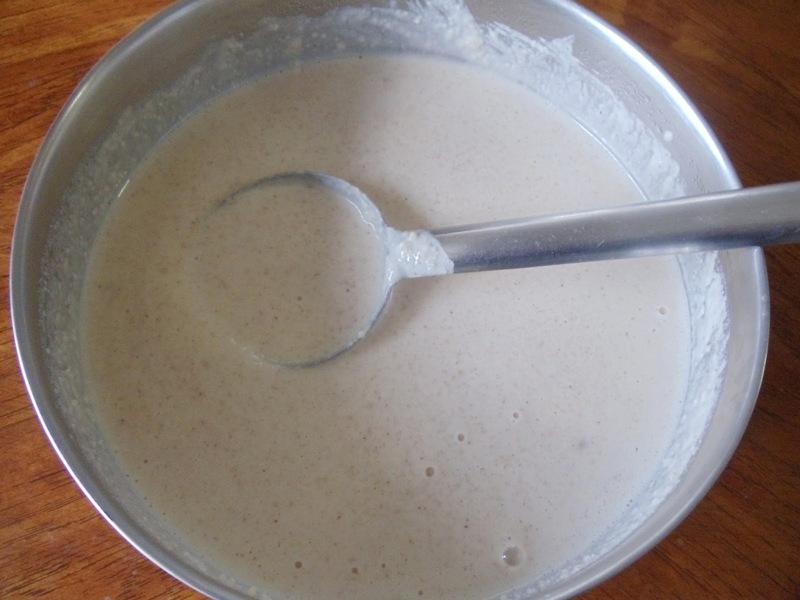 The final consistency of the batter should be medium thick (thicker than the dosa batter). Keep the batter in a warm place and allow it to ferment for 8-10 hours (the batter should be doubled after fermentation to get spongy idlis. If not they will turn hard. If it has not doubled then keep it for few more hours. I kept it for nearly a day). Now grease the idli mould using oil and add the batter half way through in each mould (I like to use the individual moulds). Steam them in a steamer or pressure cooker (without whistle) for 15-16 minutes. Allow it to cool for five minutes and then unmould the idlis using back of the spoon. Sagle Udida Idli is ready!! Serve it hot with Sambhar or any chutney of your choice. Above measurement makes 14 big sized idlis. Note: To make white idlis, just use split urad dal or whole urad dal (without skin) instead of the whole urad dal with skin. Tausali is a very popular Konkani breakfast. It is a rice based dosa and the secret ingredient which goes in it is the cucumber. Last year I had posted a recipe for cucumber dosa using semolina (which can be made instantly). This is one more way of making cucumber dosas. The speciality of this dosa is- it can be made sweet or non sweet. Today I have posted the non sweet version. Both of them taste good. If you have a sweet tooth (like me) then I would suggest you to try the sweet version. Tausali comes out very soft. It is very simple and requires very few ingredients. Try this unique flavored dosas and I am sure you will love it. Wash and soak the rice for two hours. Now wash the cucumber and peel it (I didn't peel). Then grate it. Squeeze out the excess water from cucumber and store it in a bowl. Grind the strained soaked rice along with cucumber juice and grated coconut. Add little water as well. Grind it to a paste (it needn't be too fine). Transfer this to a bowl and then mix in the grated cucumber and salt. Mix well. 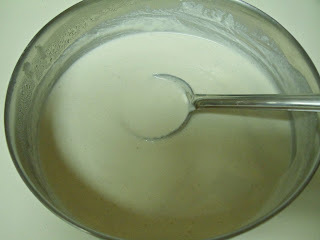 The final consistency of the batter should be medium thick (not watery or very thick, somewhere in between). 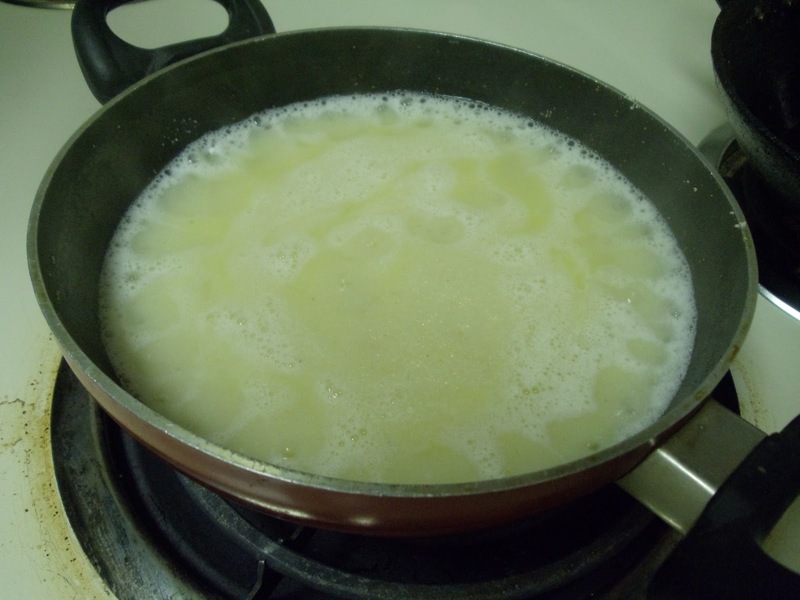 Now heat the griddle and pour a ladel full of batter and spread it according to your choice. You can make them thick or thin. Sprinkle little oil or ghee over it. Once the base of the dosa turns golden brown, flip it to cook the other side as well. When both the sides are well done, transfer it to a plate. Tausali is ready!! Serve it hot. A dollop of ghee on it would increase its taste:-) I relished it with chutney powder. Above measurement serves two people. Note: You can also add chopped green chillies and grated ginger to the batter. This provides a nice twist. If you want to try out the sweet version, then add jaggery while grinding. The sweet version always tastes better with ghee.